In January of this year, neurologist and author Oliver Sacks was diagnosed with terminal cancer. He died on August 30th. 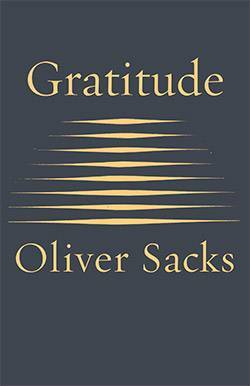 Gratitude (2015) puts together Sacks’ final four essays, all originally published in the New York Times, in a beautiful, poignant tribute to his legacy. The first of the essays was written in 2013, before his terminal diagnosis, and the final three were written after. All four deal with the subjects of aging, disease, reflection, and death with Sacks’ signature sharpness and humanity. Sacks was born in England in 1933, received his medical degree from The Queen’s College, and then moved to the United States. He lived first in California and then moved to New York City in 1965 and remained there for most of his life. He is the author of thirteen books that deal with a wide range of subject matter; mostly relating to the patients he interacted with over the course of his career as a neurologist. Sacks flawlessly blends the personal and the human with the medical. When reading his books you get a palpable sense of the man’s huge capacity for both scientific curiosity and for empathy. Sacks clearly loves the brain and the patient in equal measure which makes for medical writing that is rich with love, excitement, and compassion. Start with Hallucinations (2012): For many people, when they hear the term “hallucinations” they automatically think: crazy, schizophrenia, insanity. What makes this book so interesting is that Sacks writes about hallucinations that do not fit this stereotype. 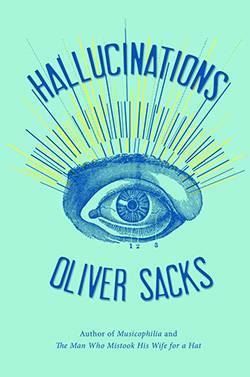 Hallucinations are much more common than most people realize and Sacks catalogues and explores an extensive list of causes including sensory/sleep deprivation, injury, disease, epilepsy, dementia, fevers, migraines, intoxication, grief, and loss of vision, hearing, or smell. 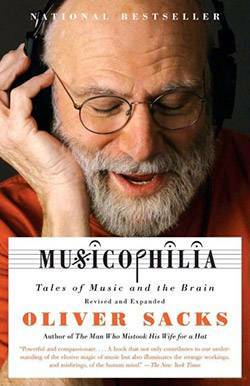 I suggest that you start with this book because it is the perfect storm of everything that is great about the writing of Oliver Sacks: fascinating, compassionate case histories of patients with a huge range of clinical presentations of hallucinations, thoughtful discussion of the role that hallucinations have played in our culture and throughout history, reflections on what hallucinations teach us about the workings of the brain, and deeply personal accounts of Sacks’ own history with drugs and hallucinations. 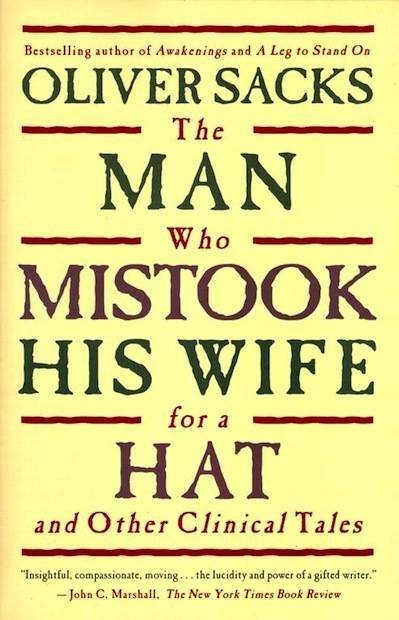 Next, particularly if you are most interested in the case studies in the previous books, read The Man Who Mistook His Wife for a Hat and Other Clinical Tales (1985): This collection of case histories is probably Sacks’ best known book. The term “clinical tales” is a great way to sum up this book because each chapter literally tells the story of a patient struggling with a neurological disorder. The stories are all at once tragic, bizarre, and captivating, and, from the man who left Sacks’ office and tried to pick up his wife’s head and put it on as a hat, to the twins who could instantly tell you what day of the week any date in the next sixty thousand years would fall on, to an elderly man who thinks he is still a teenager in 1945, they are all told with sensitivity and insight. Be warned that, as it was written in 1985, some of the language is a little outdated. 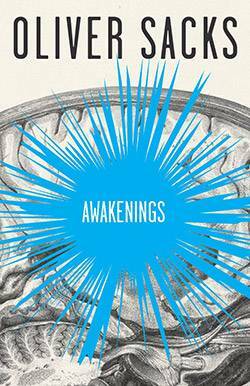 Next read the book that inspired the movie with Robert DeNiro and Robin Williams, Awakenings (1973): In the mid-1960s while working at Beth Abraham Hospital, Dr. Sacks prescribed a group of post-encephalitic patients L-DOPA, and the results were striking. Suddenly, patients who hadn’t moved in decades awoke and began to talk and walk. However, the “miracle” was not as simple as at first believed, and many patients began to suffer serious and unpredictable side effects. This book is the story of the individual patients who Sacks treated with the drug. The book is thrilling and nuanced, and, as always, patient-focused and full of humanity. 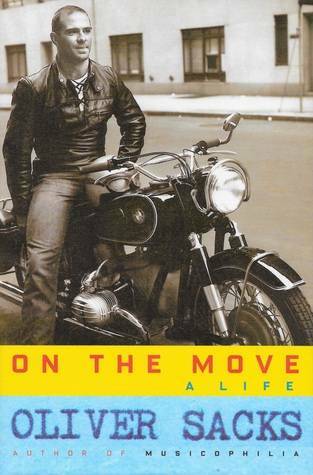 Now that you are completely in love with Oliver Sacks, read On The Move: A Life (2015): Published in April of this year, this is Sacks’ autobiography and it is truly incredible in its depth and honesty. Oliver Sacks was so many things at once: a doctor, a writer, a lover of motorcycles and music and weightlifting, a man who was in many respects shy but who conducted deep, passionate friendships, and a person of such absolute energy and brilliance and love. I could not get enough of this book. Sacks’ autobiography is written with candor and humor and is a must-read for any fans of his work.